The right rug can bring a punch of colour to a room. However, rugs collect soil and dirt that regular vacuuming alone just won’t remove. When it is time to call in a specialist to clean your rugs don’t fret. We’ve sorted through the Gold Coast rug cleaning companies to recommend the best. 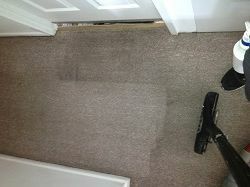 Have your carpets or rugs been cleaned by a company that provided excellent service? Do you have a preferred rug cleaning company? Contact us and tell us more. Big Red has been providing rug cleaning services to the Gold Coast for 30 years. Founded on superior service and integrity, their commitment to pleasing the customer continues today. They utilise truck-mounted equipment for the most powerful cleaning and extraction so your rugs dry faster. Free pick-up and delivery is offered as part of all of Dry Clean Carpets off-site rug cleaning services. Their off-site rug cleaning allows for a more thorough and higher quality cleaning of the rug, both back and front of the rug. Specialised fringe cleaning is also available. Your rug will look, feel, and smell better. You can trust your rugs to Steamatic Gold Coast. They have spent over a quarter of a century perfecting their cleaning process. They will arrive on time and in uniform. After inspecting your rug, they will determine if it can be cleaned in your home or cleaned at their state of the art rug cleaning facility. No matter the process used, you will be pleased with the results. They guarantee it. With a fleet equipped with top of the line portable and truck mounted equipment, Coastal Cleaning Solutions will show up prepared to do what it takes to clean your rug. You can count on Coastal Cleaning Solutions for professional rug cleaning services in the entire Gold Coast area. Cleaning rugs in the Gold Coast since 1975. PHJ’s professional team uses the best available cleaning chemicals and equipment to deliver a superior finish. Both wet and dry clean processes are available for expert rug cleaning service. PHJ is committed to providing quality, professional service to residential, commercial, and industrial customers. For 35 years, Big Red Carpet Cleaning and Pest Control has been putting their customers first to meet and exceed customer expectations for rug cleaning services on the Gold Coast. Their fully trained staff can use either truck mounted or portable equipment depending on your needs. When you call Big Red, you know you will always be dealing with the owner or an employee. Big Red will never send a subcontractor to your home or office. When Big Red is done, your rugs will be brighter, smell fresher, and feel softer. Fibre protection services are also available. Fibre protection will protect your rug and your family. Your rugs will be easier to clean and will repel dust mites and other allergens. Your rug will stay fresher and look cleaner longer. Protecting your home or office environment is their business. They are committed to providing superior service and promise a great job every time. They deliver on their promises because Big Red is constantly upgrading equipment, training staff, and looking for new technology. With Big Red you get the best.